Legacy Recordings, the catalog division of Sony Music Entertainment, is celebrating the 90th birthday of the iconic American singer/songwriter/actor/social activist/cultural ambassador Harry Belafonte (born March 1, 1927) with the release of When Colors Come Together… The Legacy of Harry Belafonte on Friday, February 24, 2017. Harry Belafonte broke into both mainstream success and musical immortality in 1956 when his breakout LP–Calypso–became the first album ever, by any artist of any race or gender, to sell more than a million copies while his signature “Day-O” (from “Banana Boat”) became one of the most instantly recognized melodic phrases in the world. Belafonte’s sound signified an international island dance party, Belafonte was an inspirational and motivating force in the American Civil Rights movement. Throughout his career, Belafonte has brought a high degree of social consciousness to everything he does, merging the activist with the artist in the flow of his music. 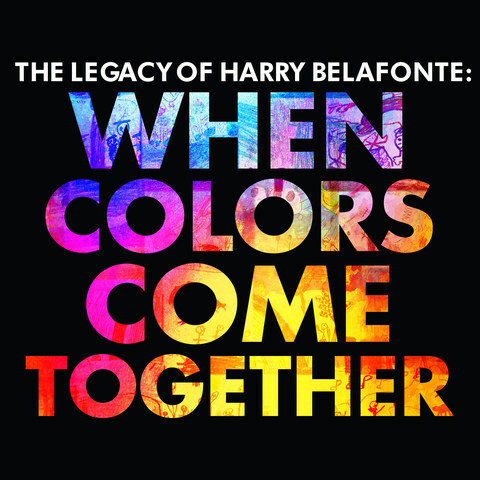 With each track handpicked by Harry Belafonte, When Colors Come Together… The Legacy of Harry Belafonte provides an essential overview of the artist’s career, bringing together his biggest hits and most socially conscious performances alongside songs that are simply near and dear to his heart.